I am another year older, but not quite another year wiser. I celebrated my birthday this weekend by enjoying the beach, great friends, a phenomenal concert and no kids. Put aside your jealousy and bitterness about a kid-free weekend for a moment and just be happy for me, okay? I am well aware of just how spoiled I was for my birthday this year. My parents gave us a full three days of free babysitting (best gift ever!) so my husband and I could head down the shore to enjoy the picture perfect weather. Since my birthday was only one week from Mother’s Day, my husband brought me into the 21st century with a smart phone. I attempted to figure it out while he drove as we headed to the shore. We pretended we were back in our twenties and spent Sat afternoon on bar stools watching our Devils. Despite the loss, it was a great little pub and fun company. 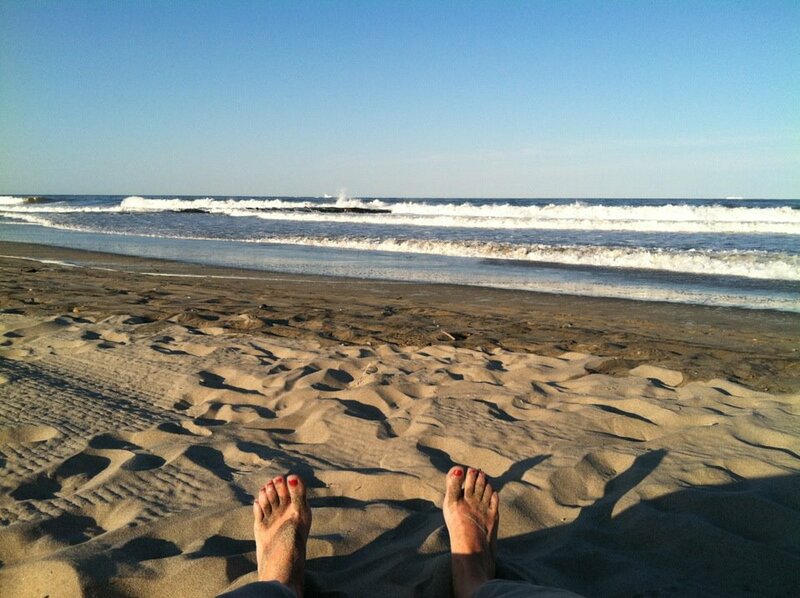 We slipped our beach chairs on our backs, and walked to pick up take-out for dinner. The Bamboozle concert was the next town up, but the music reached us as we sat on the empty beach eating delicious Hanelei Toquitos from Fins and sipping Mojitos. We had tickets to the concert for Sunday, so listening on Saturday night just got us excited for our turn. When our friends were en route to us on Sunday, we touched base via text messages. My excitement was bubbling over to have friends see our house, spend time with us and enjoy a great night of Bon Jovi on the beach. Then I erupted into uncontrollable laughter. As I mentioned earlier, my iPhone is new. 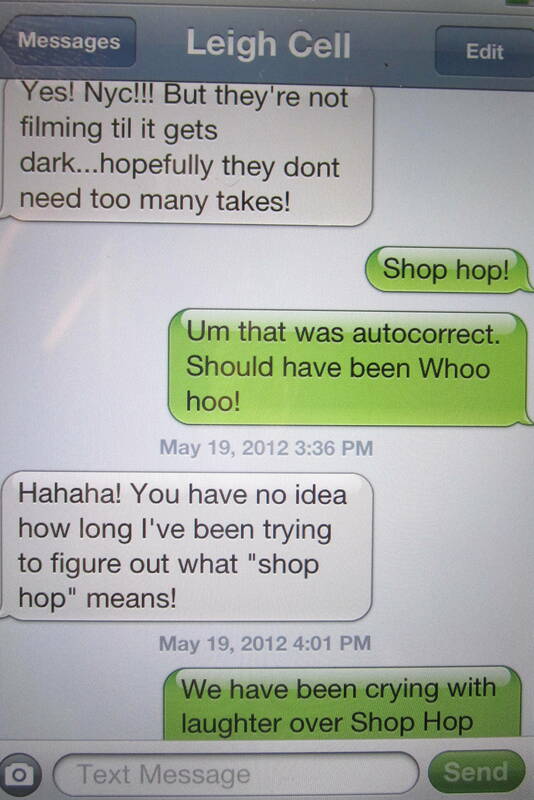 While I’ve enjoyed the hilarious text fails of others at DamnYouAutoCorrect.com, I had never experienced any of my own. Till now. And so “Shop Hop” became our catch phrase of the weekend. When you put a happy birthday day girl together with great friends, many margaritas and beers, and Bon Jovi on the beach, you get “SHOP HOP!!! !” being yelled over and over to friends and strangers alike, all along the boardwalk. Side note, Shop Hop is a lot more fun the night of than the morning after. I told you all I was one year older, but not quite another year wiser. That is HILARIOUS! I am so insanely jealous that you got to see Bon Jovi on the beach, but also so happy for you! 🙂 Sounds like the PERFECT birthday weekend! Well deserved my friend!